There will be no official way to use Dropbox on Windows XP past August 2016. First Google Chrome, now Dropbox. It’s getting harder to be a Windows XP holdout. Dropbox recently posted a help page on its site announcing that the company’s desktop program would stop supporting Windows XP this summer. The end of the line for Dropbox on XP will come in two waves. First, on Sunday, June 26, you will no longer be able to download the Dropbox desktop program for XP. When that happens, Dropbox will also prevent you from signing into an existing account or creating a new account with the utility. This is the point where XP users throw up their hands and say, “Fine. I’ll just keep using a version of Dropbox that doesn’t get updated.” Unfortunately, that won’t help you either. On Monday, August 29 XP users will be automatically signed out of the desktop program and won’t be permitted to login again per the change on June 26. Anyone on XP that wants to continue using Dropbox will have to turn to a newer version of Windows, install Linux, or switch to a Mac. Dropbox on the desktop will continue to support Windows Vista or later. The other alternative would be to use Dropbox exclusively through the web app. However, that defeats the whole advantage of Dropbox and its seamless integration with Windows Explorer/File Explorer. Once you’re signed out of your XP machine in late August nothing will happen to your data. 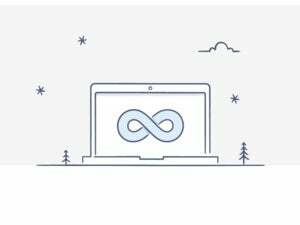 All your files will still be available to you on Dropbox.com, the company’s mobile apps, and on non-XP PCs. Dropbox says it decided to drop XP support because new features may not be compatible with the older operating system. In other words, Dropbox doesn’t want its services to be held back by a 14.5 year-old OS. Why this matters: Services like Dropbox thrive on being available for as many platforms as possible. But even that motivation wasn’t enough to keep Dropbox working on XP. Really, you can’t blame the company. Windows XP will be 15 years old in October. That’s a ridiculously long time for a piece of software to be so widely used, and the OS has far outlived its usefulness. Microsoft itself ended all support for Windows XP in April 2014.